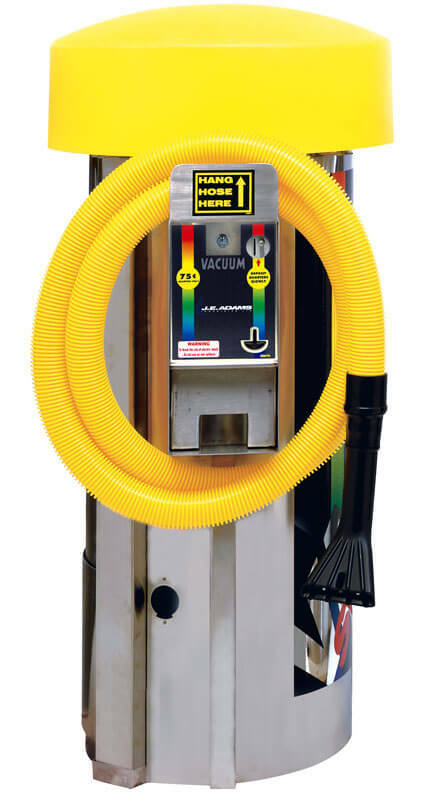 Our JE Adams Super Vac line offers a robust commercial grade vacuum with a variety of options. Choose from regular or higher suction; lighted dome colors or stainless steel; and a different lock and payment methods. 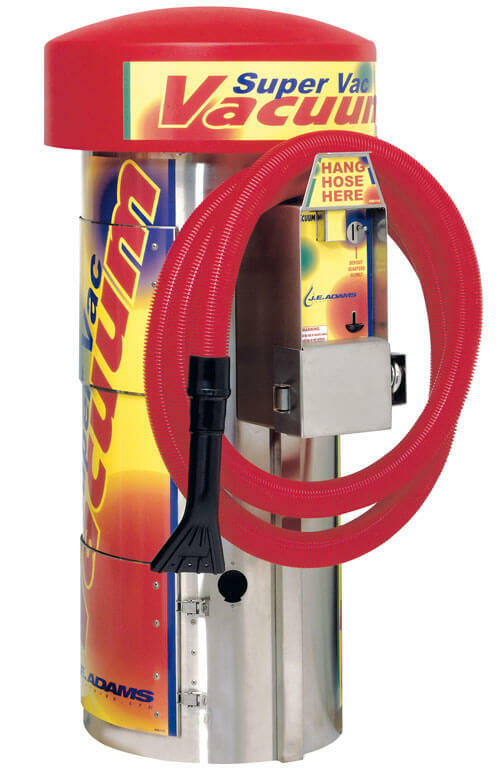 Great for use at gas stations, convenience stores, car rental locations, apartment complexes, and car wash bays to name a few possibilities. Digital display timer with built-in coin counter, scrolls messages, prices for service, and counts down remaining time. 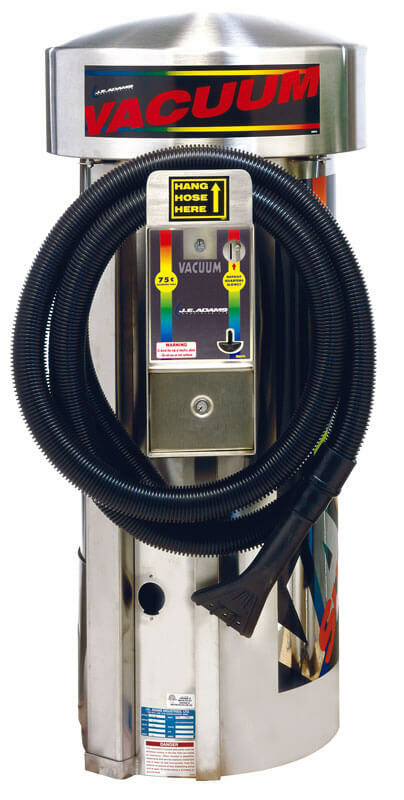 The JE Adams super vac offers your customers a coin operated and a bill acceptor in one unit. No change machine needed to break dollar bills. Select dome light, vacuum hose, and decal colors at NO additional charge in shopping cart. The Super Vac offers your customers the choice of using coins or a bill acceptor and provides a visual and audible last coin alarm and scrolling message. 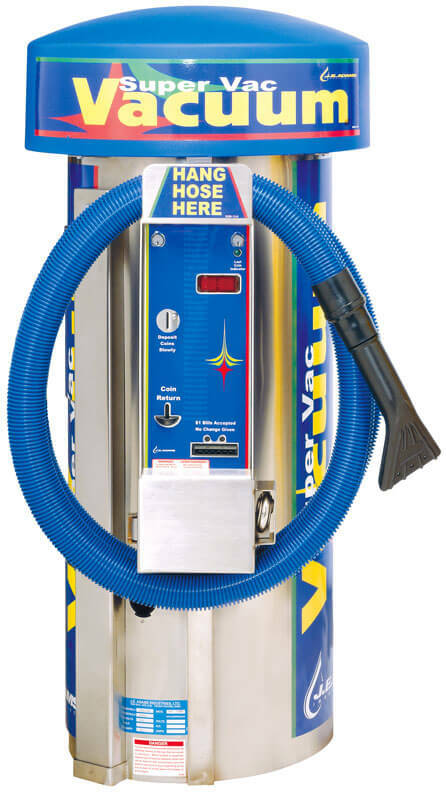 Your troubleshooting tips as well as maintenance guide on car wash vacuums and detailing stations.